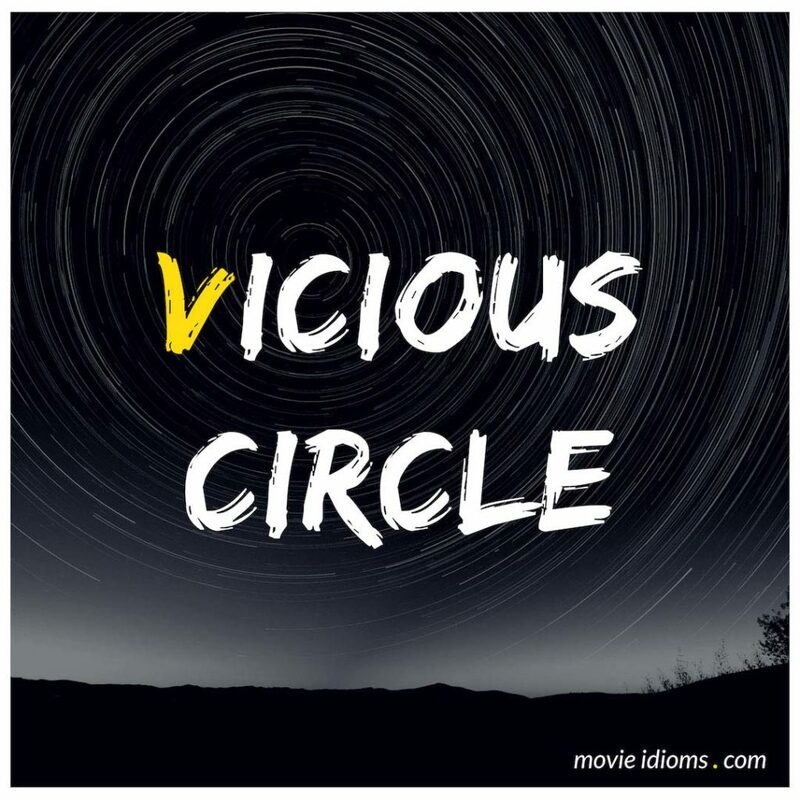 What does vicious circle mean? Don Birnam: Don’t wipe it away, Nat. Let me have my little vicious circle. You know, the circle is the perfect geometric figure. No end, no beginning. Person on Tape: Good morning, Mr. Phelps. Every year, illegal, dangerous drugs cost the lives of thousands of Americans, mostly young people. The biggest distributor of these drugs on the Pacific Coast is Mel Bracken. He is supplied from south of the border by businessman Diego Maximillian, who in turn gets his drugs legally from Midwestern drug manufacturer C.W. Cameron. Your mission, should you decide to accept it, is to stop, to expose, and destroy that vicious circle, including all three men who run it. Good luck, Jim. Milan Sova: First you set me up in the bar. Then you shoot me in the back. Xander Cage: My boss does it to me. I did it to you. It’s a vicious circle.